There are around 150 swimmers stretched out over a 2.5km course, and you can glimpse the odd yellow hat as one of them sights for a bearing. Memory flashback-style, a bright kayak hits an eye and you can hear the jet ski engine singing under the water, sounding a lot like an alarm whistle; confusing. This is what it feels like to be in the final mile of the Mullaghmore Bay edition of Sligo’s Warrior of the Sea race when you are quite clearly a Shark-less Remora Fish. 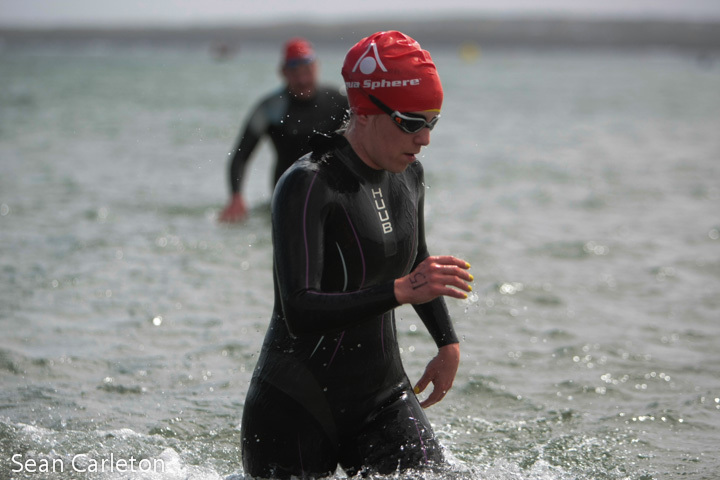 Open water swimmers can be split into three categories, but they can move between the three throughout their careers, or in single year, or in a single race. The Shark is the fastest. This is a deadly, single-minded swimmer with one thing on its mind: victory at all costs. It hunts swimmers it front of it and does not pause before passing. The Dolphin is still pretty damn fast, but more playful. The Dolphin is enjoying the ride and smiling through the face-slaps of sea. It finds swimmers, hangs out for a while, then squeals on. 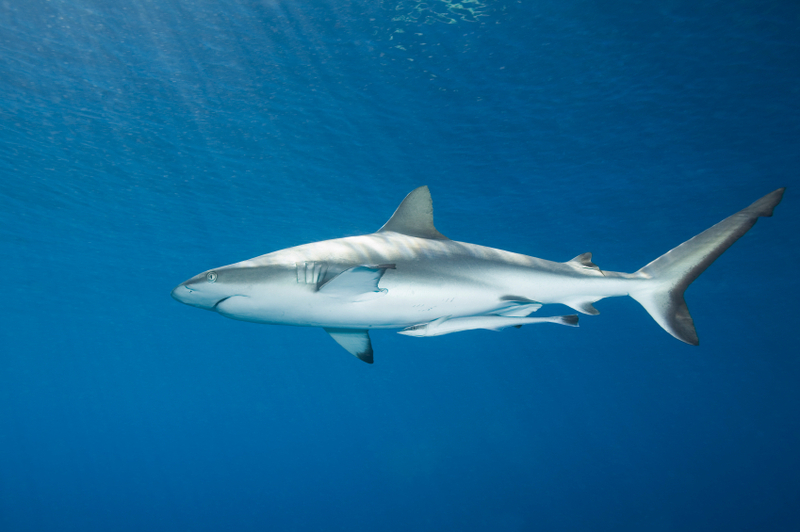 The Remora can be as fast as the Shark or the Dolphin, but not on its own. It is a timid fish that clings to Sharks, sheltering in their shadows and riding their slipstream. A Remora is nothing without its Shark, living by the motto ‘work faster, not harder’. 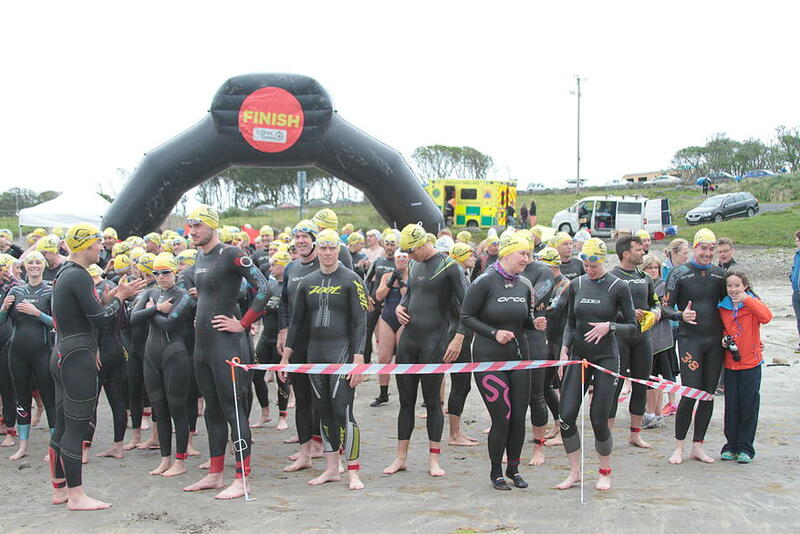 Corralled for the start of the 2015 OceanFM Warrior of the Sea on Mullaghmore Beach. The weather would turn. I am 50 per cent Remora, 50 per cent Dolphin. There have been whispers of Shark, I know I felt it at Portmarnock one day, but generally my Shark sleeps. In a massive, heaving field like that of the Warrior of the Sea, a Remora should be happier than a Dolphin sucking a blow fish. Except my Remora couldn’t find a trustworthy allay to stick to, with scores of single-minded Sharks slithering over the top in a frenzied mess. My Remora didn’t want 100 rides, it just wanted one straight one and it took more than a mile to find one; a male skins swimmer in a small pod of similar Dolphins. He had a smooth, strong stroke that was soothing to watch through the peace under the waves. And he knew where he was going. I knew where we were going too, I just couldn’t see it and that was driving me crazy. Heading out from the town side to the farthest boy was fine, you could sight to mountains and hills. Heading back? A car park? Some houses that all look the same? Strong winds, crazy chop and unhelpful currents made it that much more frustrating. I’ve actually never been so lost in a race. The joy of linking up with my skin-showing Dolphin was so relaxing I sighed bubbles and nearly fell asleep. However, I lost him. Somewhere from the first buoy to the third, I lost him and I hopped from body to body to find him until getting disconnected from all civilisation about a mile from the finish. Kayakers, boats, jet skis, SUPers, swimmers, all in the water, probably a matter of metres from me, but I only saw glimpses from then until the final buoy. It was a very long way home. I was going insane through the annoyance of not being able to get a good sighting point. Can someone in Mullaghmore please paint their house red? !